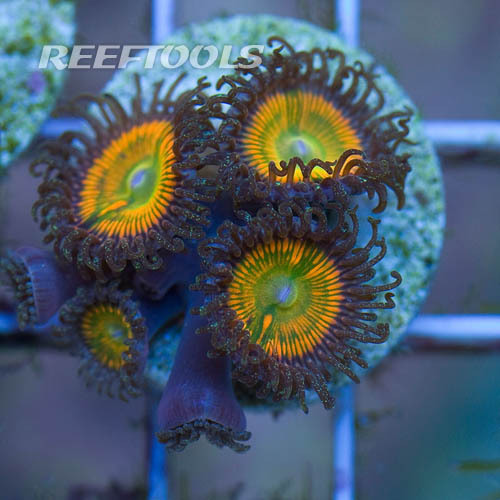 Nice yellow palys and zoanthids are pretty rare in the hobby. It’s all to often we find the common yellow (weed) variety. But the Sunny Delight Palythoa, aka Sunny D’s, are absolutely stunning. This ridiculously nice morph, has purple eyelashes, surrounding brilliant yellow, orange and green centers. The color combination offers a striking look, that is sure to pop in your tank.